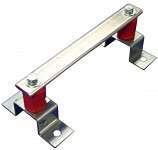 Finding you solutions by integrating components and utilizing custom designs. We consider customer satisfaction our number one priority. AMP helps you find the best solution for power. We are committed to providing our customers with quality, cost-effective products. AMP is proud to be women owned and a Union shop. 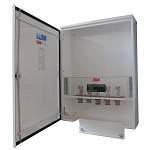 We are a premier manufacturer of standard and custom electrical distribution equipment products. Over the years, electrical consulting engineers, supply houses and contractors have requested A.M.P. 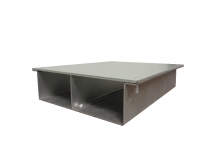 products because of their innovative designs, ease of installation and dependability. We at A.M.P. consider customer satisfaction our number one priority. A.M.P. 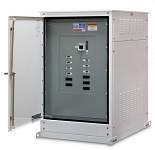 maintains a standard of excellence to the electrical industry, and we are committed to providing our customers with quality, cost-effective products utilizing innovative designs and creative engineering - all delivered on-time and within budget. Our commitment to quality shows throughout the organization with continuous product development, and a modern facility and equipment, as well as skilled union craftsman and service-oriented sales and engineering personnel. A.M.P. is proud to be certified as a Small & Woman Business Enterprise (S/WBE) with the CERT program. 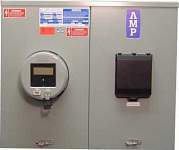 AMP's provides a quick and convenient station to connect external generator power. Cabinets are either wall mount or free standing. 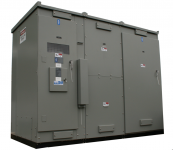 American Midwest Power’s Marina Substations are designed to safely and efficiently distribute power in marina and port applications.